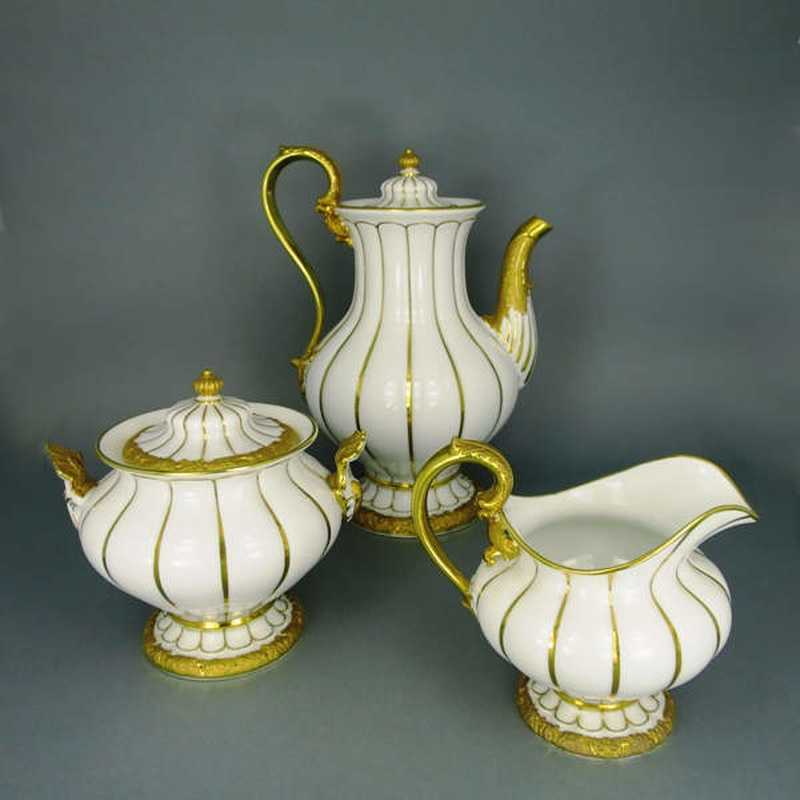 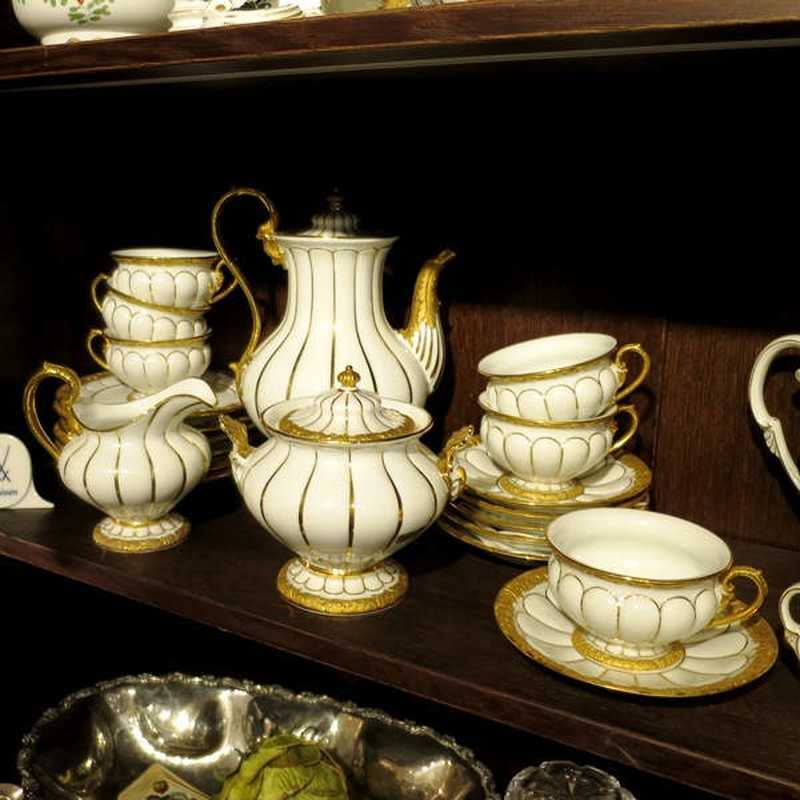 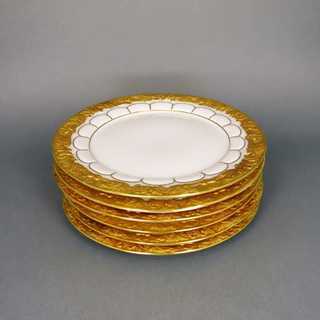 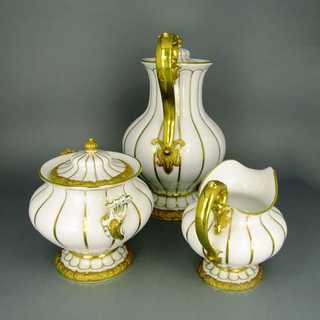 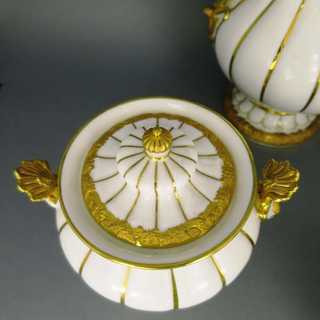 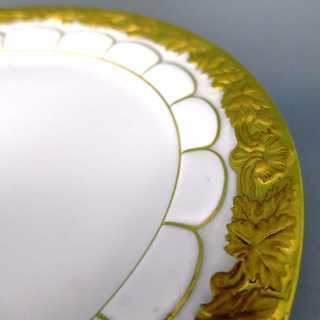 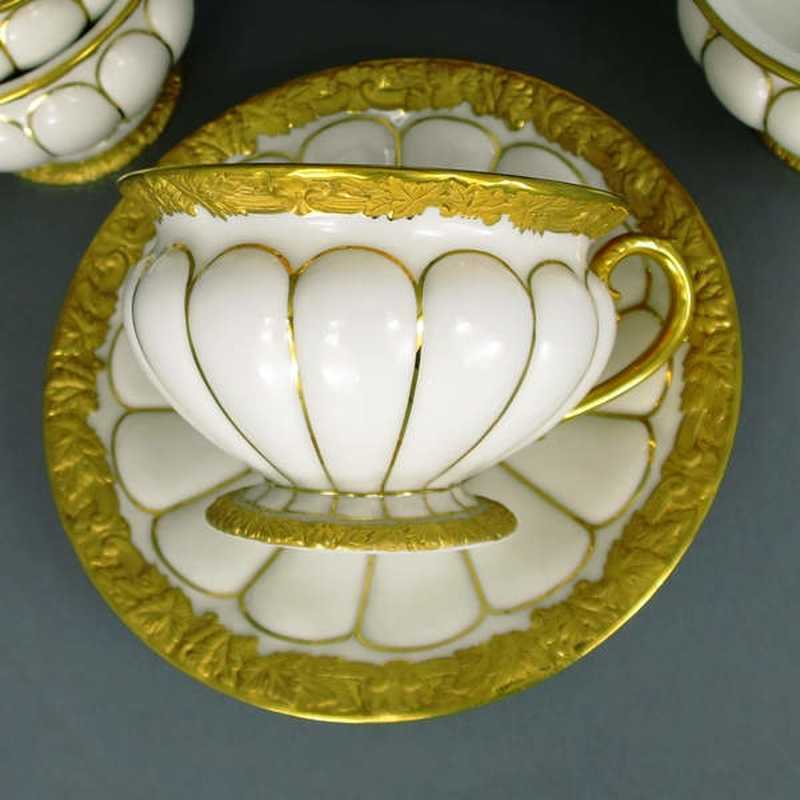 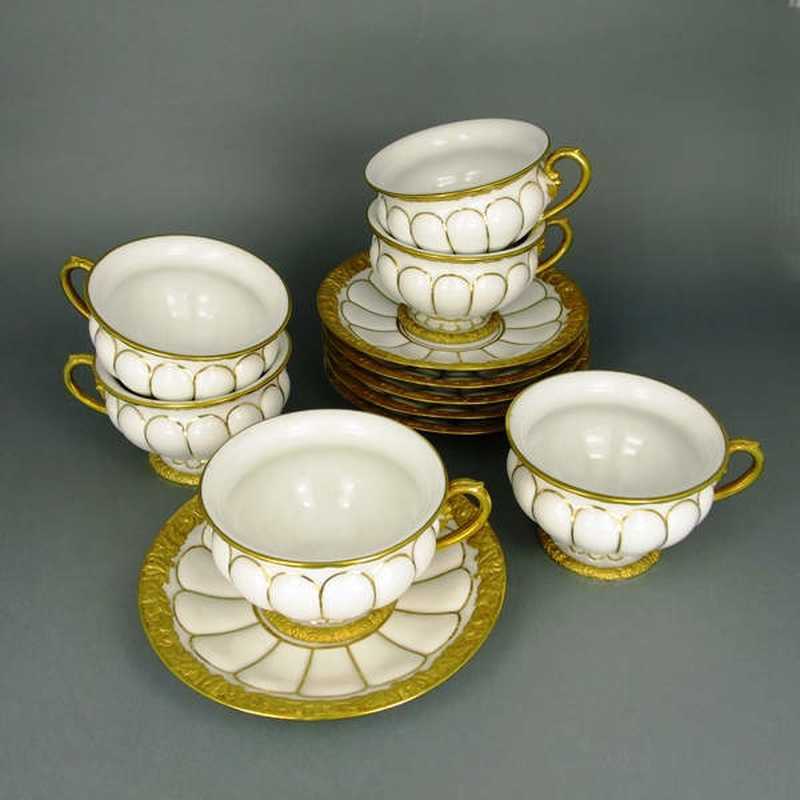 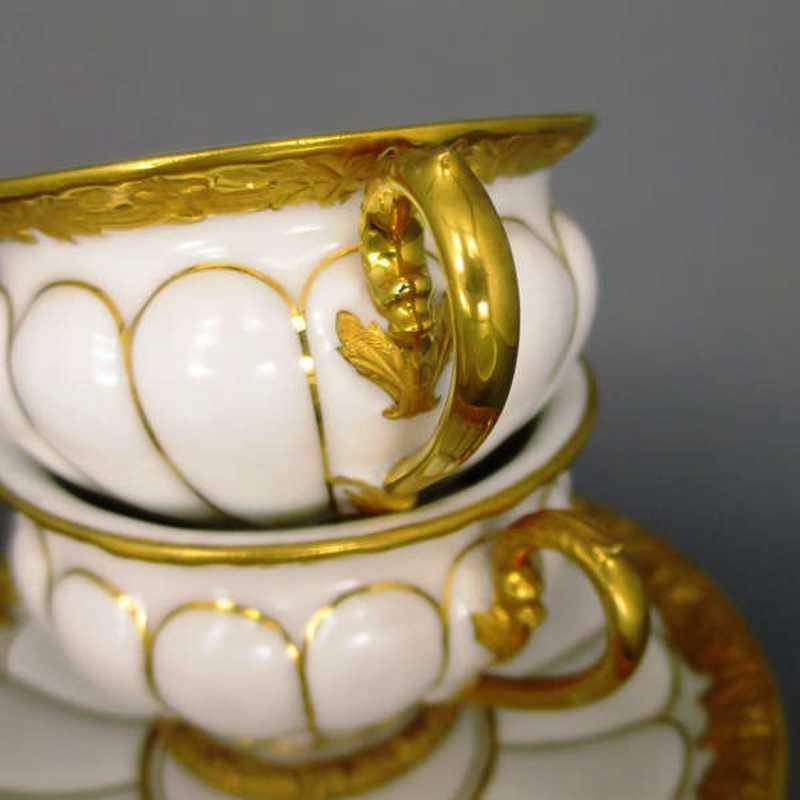 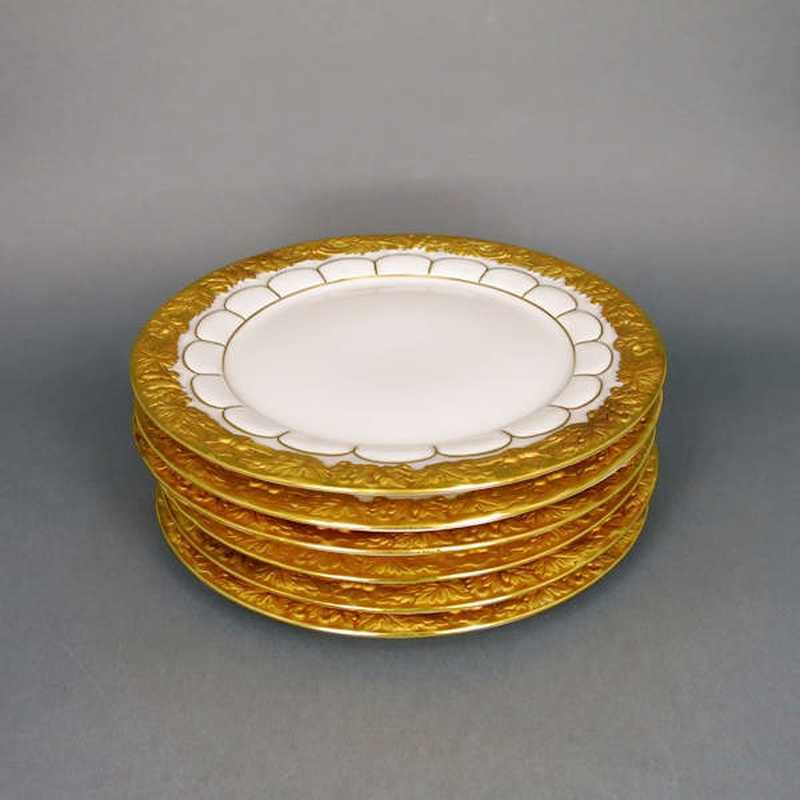 Wonderful coffee set for 6 persons, created in the world famous porcelain manufactory in Meissen/Germany. 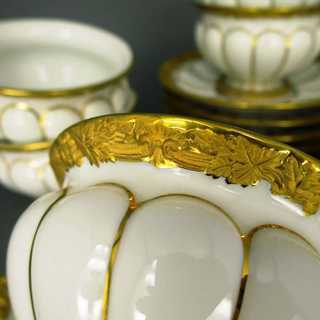 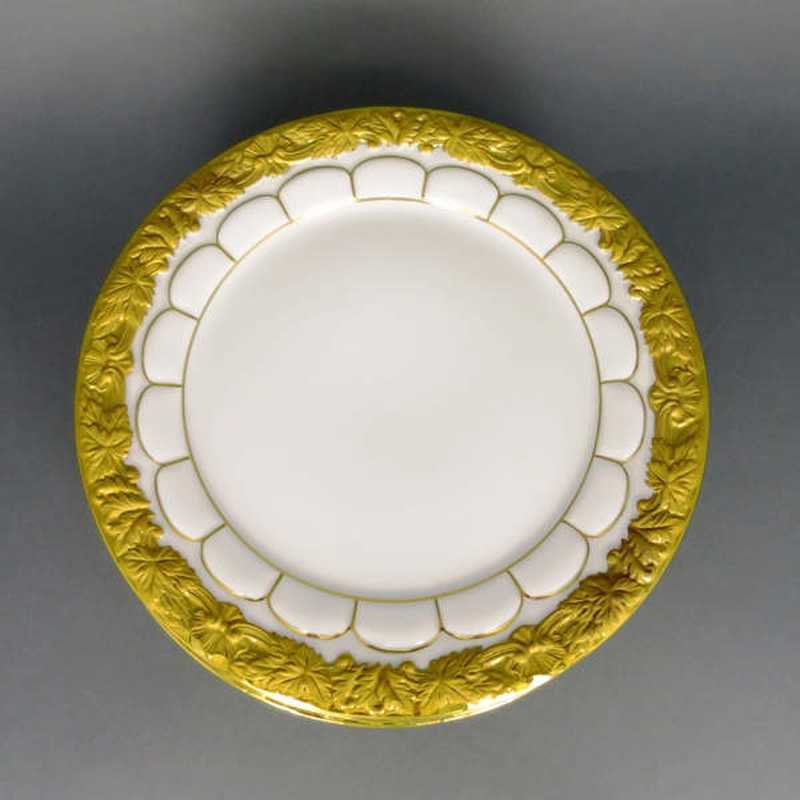 In white with gold bronze. 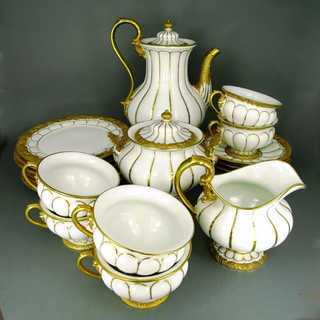 Composed from a coffee pot, a sugar bowl, a creamer, 6 coffee cups with saucers and 6 dessert plates. 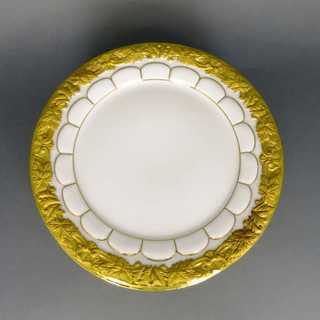 Marked, blue curved swords mark under glaze, with drop between ends, dating 1924-34. FIRST QUALITY CLASS. Excellent condition!